I was sent a model airplane from Air Canada as a thank you for flying over 1 million miles. It was nice, but I did not want to earn another one of these models. Flying is not that much fun after a million miles. However, I have watched over the last twenty years how well the flight crew of an Air Canada plane works to ensure that flights are run well and without incident. I learned a bit about how they operate after sitting in the aircraft for hours. I am not surprised that Air Canada is ranked the best airline in North America, according to a 2017 survey by Skytrax, an international air transport rating organization. In a standard commercial airplane, several people ensure that service is delivered faithfully and consistently to the passengers. A flight crew consists of a Captain, First Officer, Purser, and Flight Attendants. This team has the overall responsibility to ensure the flight is delivered well and safe, however, they are not the only team members involved to ensure the trip is performed well. There is a ground crew, air traffic controllers, and a host of others that work together to assure the flight is uneventful and passengers are delivered to their destination on time. The entire in-flight and ground crews have a shared responsibility to deliver the flight services and assure a pleasant flight experience for their passengers. In a Hybrid IT world where cloud services, traditional services, and SaaS services are integrated into a cohesive system, one has to ask, “Who is responsible for the service delivered to the end user customer?” The reality is everyone is responsible. Unfortunately, all too often no one is responsible. The Hybrid IT delivery model requires the transformation of the entire IT operating model to ensure clear responsibility and accountability for service delivery, service development, and service management. To address this reality, IT needs to implement a Hybrid IT Responsibly model. A Cloud service is rarely implemented as one service. It usually needs to be integrated into the existing IT architecture and operating model. The results of this reality are that the responsibility to manage the service level is now shared across different organizations and companies. In addition to this change, the overall service level expectation has also changed. 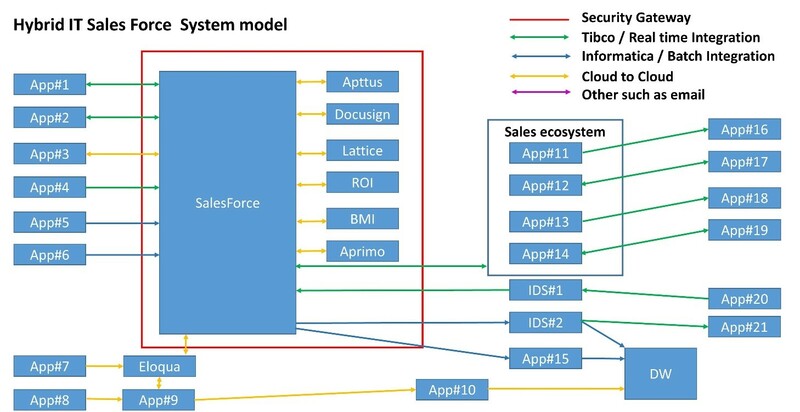 Below is an example of a Hybrid IT application stack that includes Sales Force.com (SaaS) integrated into 15 back office systems using five integration technologies. Always fast as per their perception on any device they are using. The challenge is how do you to deliver, develop, and manage this service to achieve this service level in a Cloud/Hybrid IT environment when an application service is provided through multiple partners and technologies. As service complexity increases, with each additional component that is added to the service, the reliability of the service is more likely to decrease. There are seven components in this system. Let’s assume the reliability of each element is 99.9%. 99.9% to the seventh power is 99.3% or 61 hr. & 21 min. of downtime per year. No customer would be satisfied with a service that is down 61 hours a year. To further add to this service management challenges, a service is now deemed down if it just runs slow. In a complex service like this one, there are seven possible contributors to an application running slow. A Hybrid IT Responsibility Model is mandatory to integrate the efforts of all IT suppliers into one cohesive delivery machine. We need to become a well-integrated in-flight and ground crew. The focus must change from each group just looking after their IT service, to delivering an exceptional IT experience for their customers. The key is to implement the same thinking that guides a flight crew. In a flight crew, everyone has their unique role, but all are committed to delivering an exceptional travel experience for their customers. On the screen. This is where the customer interacts with the application services. It needs to be measured by performance, availability, and reliability. Face to face. This is where IT helps a customer develop new IT solutions to meet their business needs. It is measured by speed to create a new solution and the quality of the solution. These three areas of key measures require everyone in IT operating as one integrated team. Each one of these views needs to be transformed into a Hybrid IT Responsibility Model. To accomplish this, changes are required to existing roles and responsibilities, and in some cases, new roles need to be created. Hybrid Delivery, for example, requires the creation of the Business Innovation Enabler role. 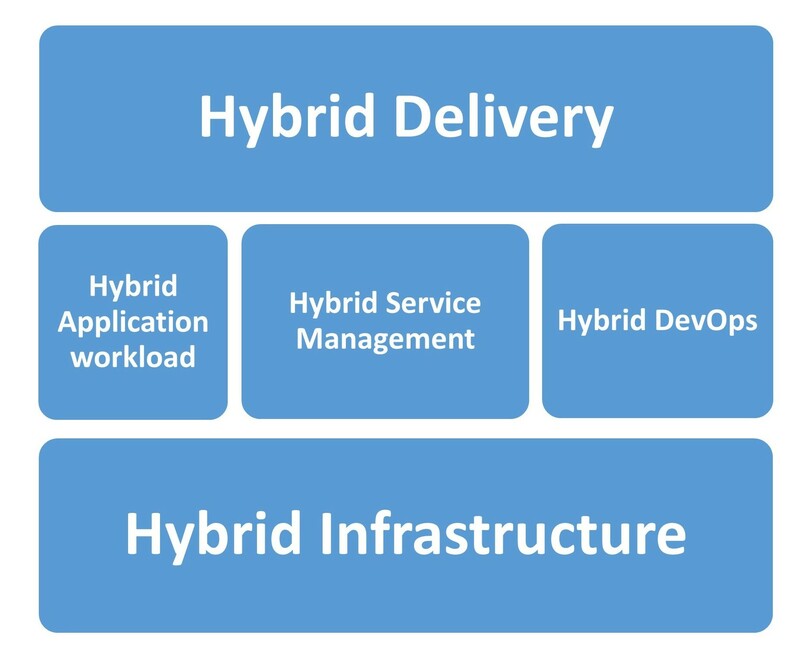 Hybrid Service Management involves the transformation of a Service Manager who oversees a service as a whole and measures the service end to end. Hybrid workload requires the conversion of application developers to application assemblers that are comfortable designing new systems in days not months using functions as a service. Over the next five blogs, I will explain the changes to each view of the Hybrid IT operating model to transform it into a Hybrid IT Responsibility Model. Excellent airlines pay attention to every detail of a flight. Customers expect nothing less. Great air carriers have developed eyes for quality, and they know it is everyone’s job to ensure that a customer’s travel experience is a pleasant one. They know exceptional customer service depends on the in-flight and ground crews operating as a seamless machine. IT needs to develop those same skills, those same eyes for quality and passion for their customers. 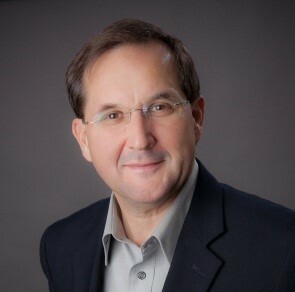 Bill is the Digital Strategist for Liam Associates. Formerly the Cloud Chief Technologist for Hewlett-Packard Enterprise Canada, Bill has provided Hybrid IT and IoT Strategic Planning advisory and planning services to over fifty private and public sector clients to help them migrate to a Hybrid IT Operating model. These transformation plans have helped both government and industry reduce the cost of IT, re-engineer their IT governance models, and reduce the overall complexity of IT. Bill is also a member of the Open Alliance for Cloud Adoption Team and has co-authored several documents on Cloud Maturity and Hybrid IT implementation.